JetOptions Private Jets wishes you and yours a Happy Thanksgiving! All of us in the JetOptions team wish you and yours a Happy Thanksgiving! We have much to be thankful for this year and are especially grateful for the friends, families and business associates we came in contact with over the year. We want you to know how much we appreciate your valuable contributions in making 2014 another successful year. We take this opportunity to thank you and to wish you a great year ahead. JetOptions will be open through the Thanksgiving holiday. We are available to help you with all of your aircraft charter needs 24/7. 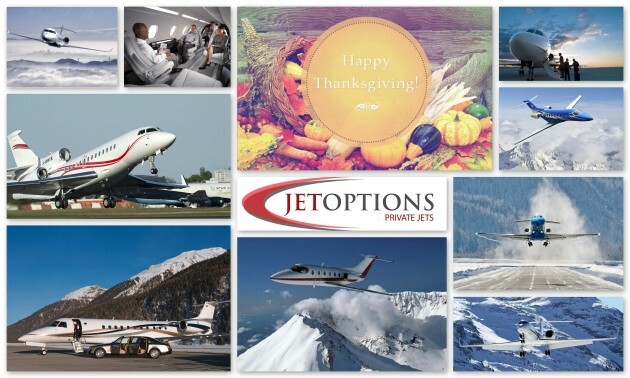 Posted in General Aviation | Comments Off on JetOptions Private Jets wishes you and yours a Happy Thanksgiving! A surge in global air traffic, particularly in emerging markets, is posing new challenges to air travel safety. Scott Mayerowitz of the Associated Press investigates. More travelers are flying than ever before, creating a daunting challenge for airlines: keep passengers safe in an ever more crowded airspace. Each day, 8.3 million people around the globe — roughly the population of New York City — step aboard an airplane. They almost always land safely. National Business Aviation Association (NBAA) President and CEO Ed Bolen today submitted a statement to a House Aviation Subcommittee hearing on U.S. aviation manufacturing challenges. The written statement emphasized that certifications and approvals are fundamental to all aviation segments, and that further improvements are needed to support business aviation’s environmental, economic and safety concerns. Safety is of utmost concern, Bolen noted, because delays in proper flight authorizations mean that business aviation operators must fly at below optimum altitudes for safety and efficiency. The Federal Aviation Administration on Monday proposed a $12 million fine against Southwest Airlines for failing to comply with safety regulations related to repairs on its fleet. Beginning in 2006, the Dallas-based airline conducted “extreme makeover” alterations to eliminate potential cracking of the aluminum skin on 44 Boeing 737s, the FAA said. An FAA investigation found that both the airline and its contractor, Aviation Technical Services, Inc, of Everett, Washington, failed to follow procedures for replacing the fuselage as well as other work on the planes. It happens year after year: media organizations look to an anticipated, slow summer season, and begin searching for sensational, headline-grabbing topics to gain the attention of the public. When the media’s gaze turns to general aviation (GA), the result is often a mix-up of information, much of it inaccurate and misleading. That’s what happened when three news organizations – USA Today, NPR and the Washington Post – covered various industry-related issues, and in some cases wound up far off the mark. NBAA (JetOptions is a member of NBAA), other industry groups and even media organizations have challenged recent coverage from these three organizations, setting the record straight with facts, context and relevant information. For example, a June 18 USA Today series, titled “Unfit for Flight,” implied general aviation is inherently unsafe, and the industry is not committed to safety. The series presents tragic general aviation accidents, which took place over several decades, as a means to stir an emotional response, and follows up with mischaracterizations, and in some cases, wrong information about the industry. In a letter to the editor sent the same day the first story in the series was published, NBAA called the coverage “sensational” and “one-sided.” NBAA President and CEO Ed Bolen advised the editor that, contrary to the article’s implications, the safety trend for general aviation over the almost 50-year period referenced in the story has shown significant improvement. Bolen’s letter also emphasized the industry’s significant contributions to safety through improved technologies developed by aviation manufacturers, and more effective training. Read NBAA’s letter to USA Today in its entirety. The General Aviation Manufacturers Association (GAMA) was also quick to respond. A press release from GAMA President and CEO Pete Bunce challenged the USA Today series claim that fatalities are increasing in GA accidents, saying, “The goal of 1 fatal accident per 100,000 hours flown by 2018 now appears increasingly likely.” GAMA’s release also provided a number of efforts the GA industry as a whole has undertaken to proactively mitigate risks. Read GAMA’s press release in its entirety here. The Aircraft Owners and Pilot Association (AOPA) also responded to the USA Today series. AOPA poignantly noted that despite 21 million flights annually carrying 170 million passengers, GA has seen a 40 percent decrease in fatalities since the ‘90s, which is fewer than that demonstrated by both boating and motorcycles in the same time period. AOPA also pointed out the article’s oversight in regard to the industry’s efforts to make GA safer. Read AOPA’s response in its entirety here. The GA industry isn’t alone in its outrage over the USA Today series. Jeff Schweitzer, a pilot and Huffington Post contributor, responded to the USA Today series with a write up titled “Unfit for Publication: How USA Today Got Everything Wrong.” In his filing, Schweitzer said: “Nearly every inference about aviation in the article is wrong…The real story here is media bias and editorial malpractice, not the dangers of aviation or manufacturing defects.” Read Schweitzer’s response in its entirety here. USA Today wasn’t the only media outlet to mischaracterize the industry in recent days. 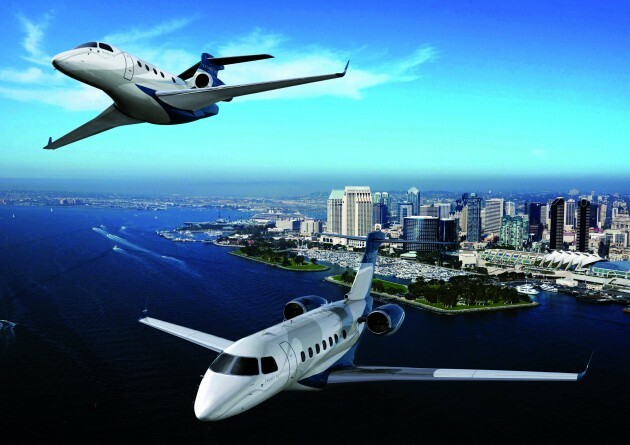 On June 17, NPR aired a Marketplace segment titled “How to Hide a Corporate Jet,” which included an interview with a source who implied that the widespread practice of leasing business aircraft is done to circumvent federal reporting rules. 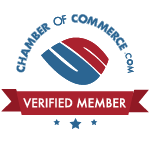 In fact, aircraft leases are gathered and reported by the FAA, and the Securities and Exchange Commission requires publically traded companies to report personal use of aircraft and other vehicles. Embraer SA, the world’s third-largest commercial aircraft manufacturer, said on Wednesday that first-quarter profit more than tripled, beating estimates with surging defense and business jet revenue. You can charter any Embraer from JetOptions. Net income rose to $111 million, well above the $30 million profit a year ago and the average analyst estimate of $48 million in a Reuters poll. The robust earnings underscored Embraer’s effort to diversify beyond its commercial aviation business and develop a lineup of executive aircraft and defense products as it works to upgrade its mainstay regional E-Jet. Defense revenue jumped 57 percent and business jet sales climbed 53 percent from a year earlier. That offset a 13 percent slide in commercial jet revenue in the weakest quarter for E-Jet deliveries in more than five years. Brazil’s currency also improved the profitability of Embraer’s export-focused business, with an 11 percent depreciation in 12 months. Currency variations in the first quarter eased Embraer’s tax bill by $48 million. Beechcraft Corporation, part of the Textron Aviation segment of Textron Inc., announced the sale of a Beechcraft King Air C90GTx to the state-owned Beidahuang General Aviation Company of Harbin, China. The companies held a signing ceremony at the Asian Business Aviation Conference & Exhibition (ABACE) in Shanghai, China. 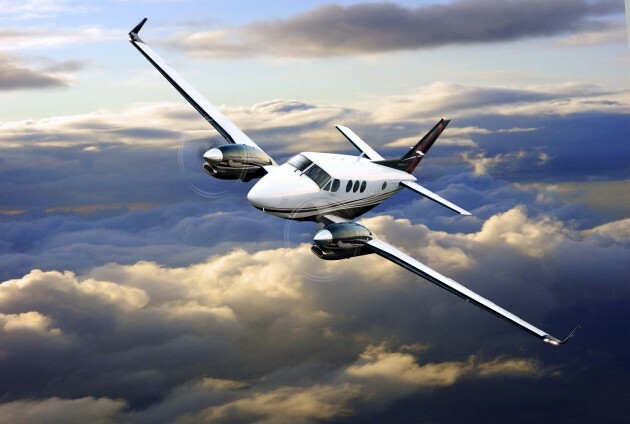 The order was brokered through Beechcraft’s channel partner in China, Avion Pacific. The King Air C90GTx aircraft will join a fleet of nearly 90 aircraft operated by the Beidahuang General Aviation Company, a subsidiary of the Beidahuang Group, a conglomerate of China state-owned agribusinesses. Beidahuang General Aviation Company plans to use the King Air C90GTx for personnel transport and aerial survey. The full international debut of the Airbus A350 airliner will dominate both the static and flying displays on the first two days of the Singapore Airshow. The European airframer’s second flight test airplane–MSN3–arrived here over the weekend and flew a display rehearsal on Sunday afternoon over the Singapore Strait. It is due to depart at the end of Wednesday. Carriers from the Asia Pacific region that have already ordered the aircraft include AirAsia X, Air China, Asiana Airlines, Cathay Pacific Airways, China Airlines, Hong Kong Airlines, Japan Airlines, Singapore Airlines, SriLankan Airlines, Thai Airways International and Vietnam Airlines. 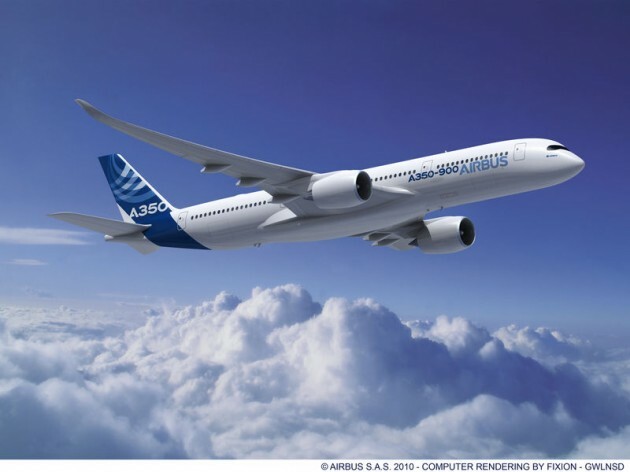 In all, Airbus has collected firm orders for 812 A350s from 39 customers. National Business Aviation Association President and CEO Ed Bolen has issued a statement regarding the announcement that President Barack Obama has signed into law an agreement passed by the U.S. Senate and House of Representatives to address the nation’s debt ceiling and end the federal government shutdown. As the agreement was being finalized, Bolen spoke directly with FAA Administrator Michael Huerta. NBAA has consistently raised alarm with Washington policymakers that the government shutdown has halted many vital services provided by the agency, greatly harming the aviation community; specifically, the situation led to the closure of the FAA’s U.S. Aircraft Registry, bringing a stop to the purchase, sale, import, export or maintenance of all aircraft. “While the agreement reached does reopen the government, it may be some time before services at the FAA and other agencies are fully restored to pre-shutdown effectiveness,” Bolen said. He noted that NBAA will keep the industry advised as to continuing shutdown-related developments at the Association’s online resource, www.nbaa.gov/shutdown, which NBAA developed and has kept up to date since the shutdown began on Oct. 1. Bolen also noted that, while news of the agreement is most welcome, the Association and industry would need to continue to monitor developments in Washington. “The agreement to end the shutdown runs until the end of 2013, and it is part of a larger, ongoing fiscal-policy debate in Washington,” Bolen said. “That means we may be looking at the same circumstances that led to this shutdown in the not-too-distant future. As always, we will need to remain vigilant, and our industry will need to be ready to mobilize, just as the business aviation community did when the devastating impacts of this shutdown became clear.” JetOptions is a member of NBAA.